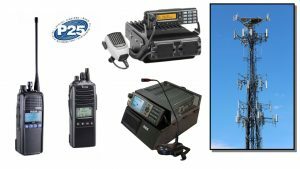 Listen to this broadcast or download “Communications Security, Before, During and After SHTF” in this player! 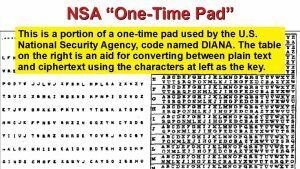 One of my favorite subjects is the “one-time pad.” The sender and the receiver have the same pads of paper with a mix of alphanumeric symbols printed on identical pads. Ideally, to maintain secrecy, there is only one pair of identical pads. This method of encrypting messages using designated pages “one-time” renders a message 100 percent secret, as far as we know. Of course, with the kind of combined computing power of the now 17 members of the U.S. Intelligence “Community” most of us know that “secret” is just about impossible. Next: Next post: Are you Prepared for Recovery?